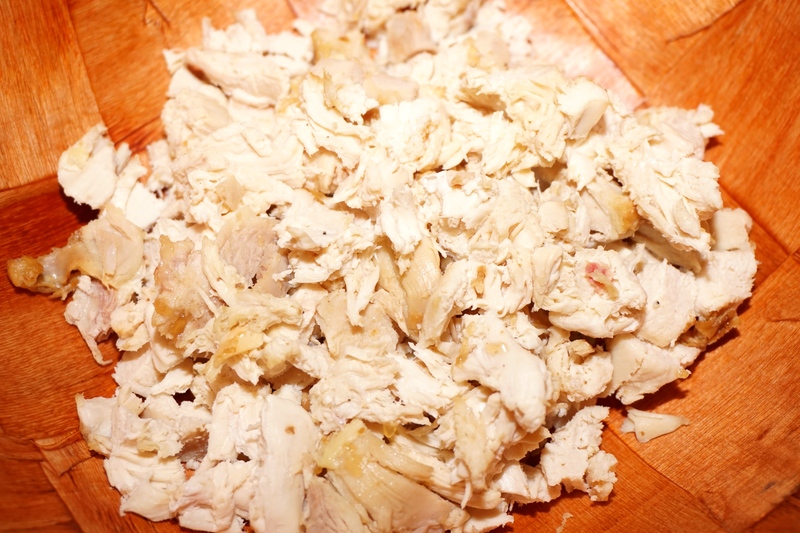 I finally came around to using that leftover chicken from the other day! Better late than never right? 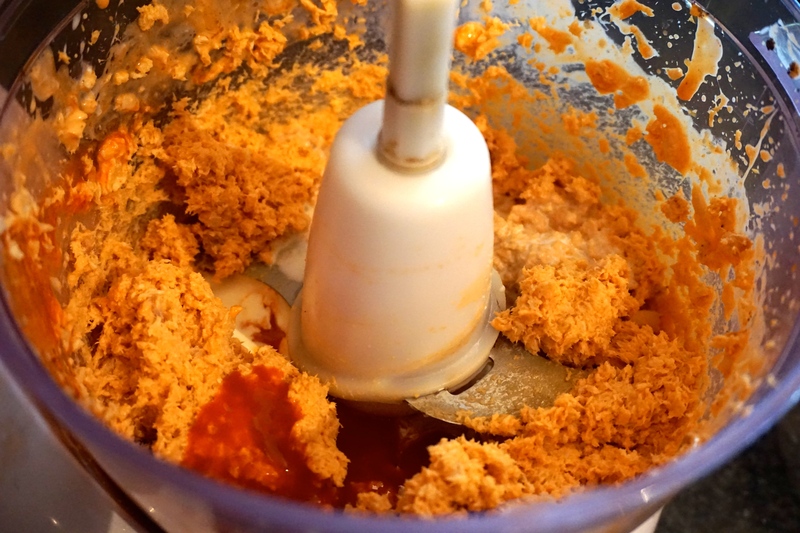 Took the nicely chopped leftover chicken, put it in my food processor with a bit of cream, buffalo sauce, salt and pepper until it became this lovely tasty paste. Put the paste in a bowl and placed in the fridge for later use. Then I got my ingredients ready to make my basic pasta dough. 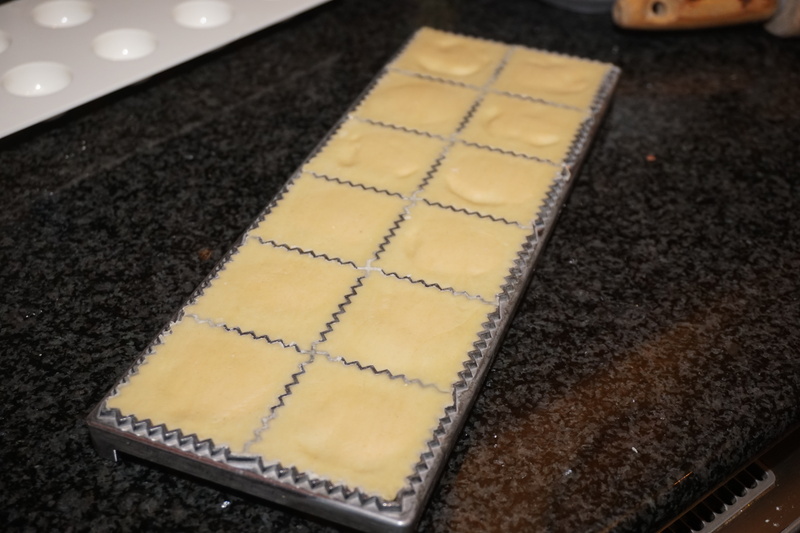 Once I got my pasta dough together I wrapped it in cling film and placed it in the fridge for 1 hr. 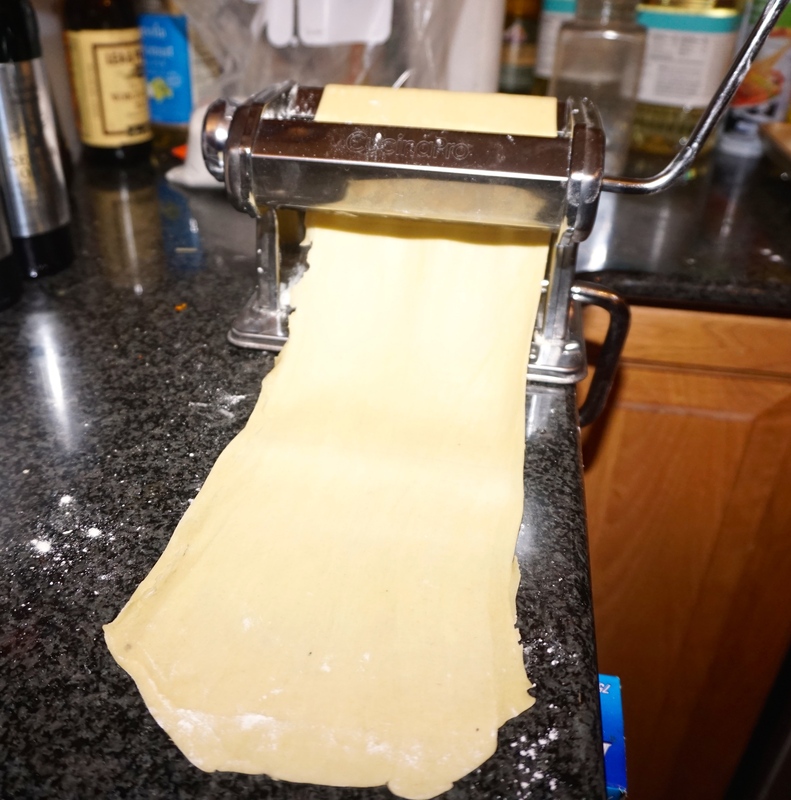 I chopped off a piece of my dough and put it through my pasta maker till is was just the right thickness. 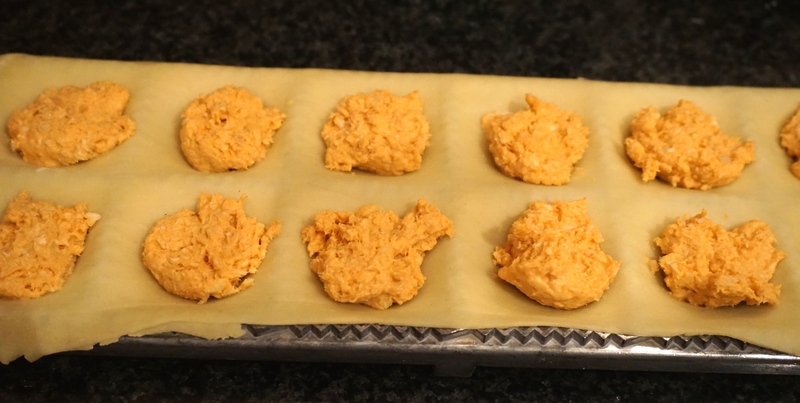 Then filled it with my buffalo chicken paste and sealed them tightly. 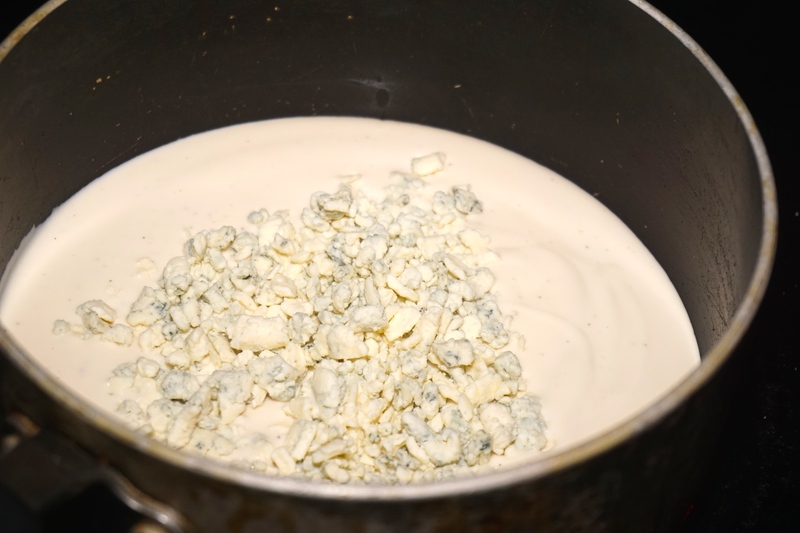 Into the boiling water they went for 3 minutes and whilst they cooked I put together a light blue cheese sauce to serve them with. 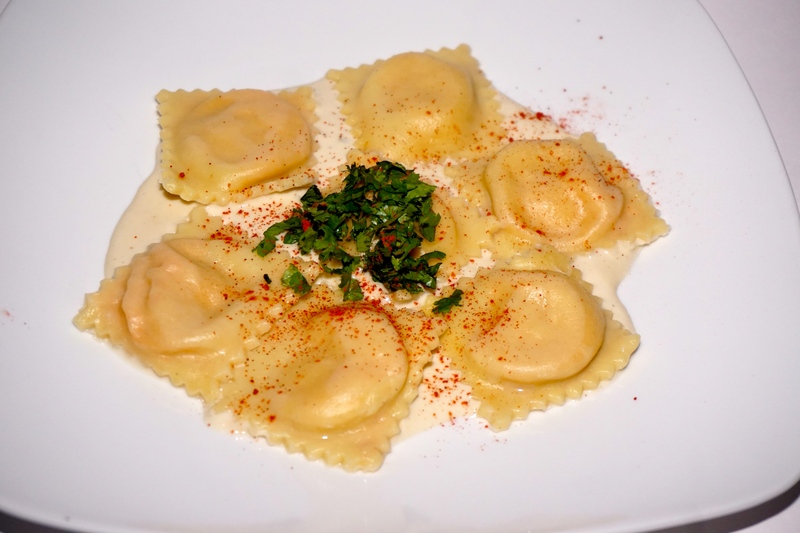 If you are a buffalo chicken with blue cheese lover, I suggest you try out my crazy invented ravioli. They are one special treat! 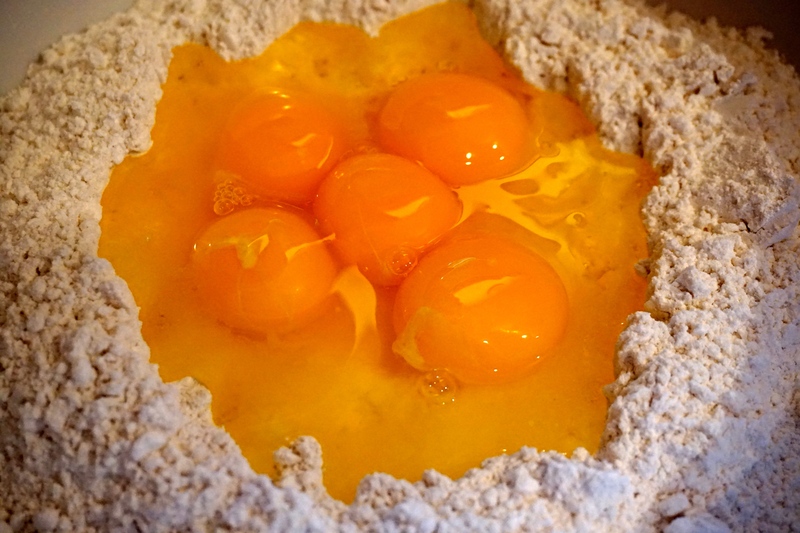 Read my next posting for my dessert surprise I made with some of the leftover pasta dough! Prev Oooops I did it again……….I blame my mama! Wow, truly from scratch! Looks wonderful! 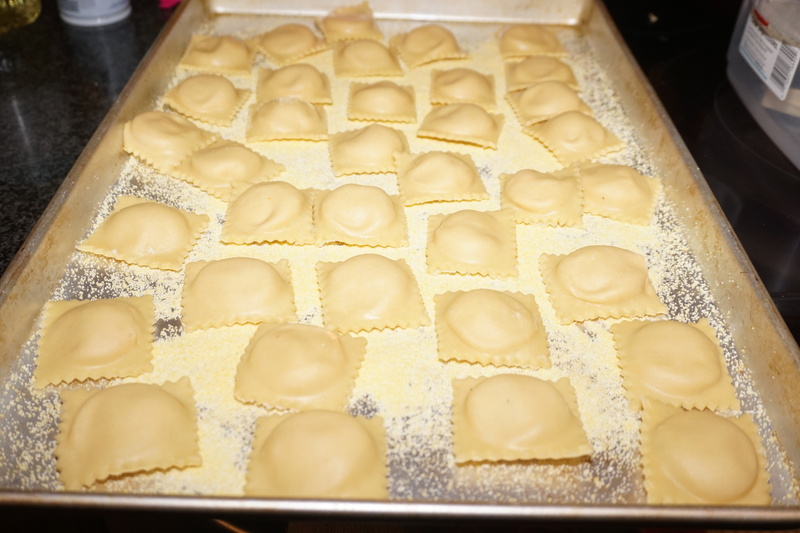 Lois there nothing better than homemade pasta and it’s so easy and versatile!